“Venture Capital” is an industry term that many entrepreneurs will latch onto without really understanding the real scope of what it means. In the most basic sense, it is capital that is provided to a venture, an entrepreneurial endeavor. By that definition, it could apply to friends and family, seed capital, and angel investors too. In reality Venture Capital comes from a more institutional and structured scenario. Venture Capital managed funds vary in size from $20 Million under management in a “boutique”’ firm to $200 Million or more under management in the large industry stalwarts. The larger the fund, the bigger the typical amount of investment per company, with rights for follow on investment. VC Funds will be active in their investments and therefore will want to limit their total portfolio to be proportional to their fund size. A small fund might work with 5-10 companies over a period of time, while the larger funds may work with 20-40 companies over the life of their fund. The larger the fund, the larger the investment and therefore a higher expectation for the validation of the business and the market opportunity. The term “Startup” also varies in its definition according to the entity making the investment. Angel Investors may view a company that has a prototype and no revenues as a startup and a company with $1M in revenues and reoccurring growing revenues as an early stage company. To a Venture Capital firm, a company with anything less than $5M and more importantly a sustainable growing pattern of profitability, is still a startup. In any case, the documents needed to get an introduction to a Venture Capital firm and to proceed to the point of negotiating the terms of the investment are going to be the same. There is a defacto industry standard on what the Venture Capitalists expect to see at each step of the process. The content of those documents and the proof the entrepreneur offers that the company has the ability to become a large thriving company in a relatively short period of time will dictate the likelihood of attracting Venture Capital financing. Introduction summary of what you do and why. 2-3 sentences that includes your key differentiator or hook, like an elevator pitch in writing. The problem you are solving, from a brief statement of fact to more in depth reference points of why it is a problem. How you are solving it and why your solution is unique. As it expands from exec summary to a business plan it would include a competitive landscape and how you fit. Your business model, which in a pitch or summary document may be simple straight forward couple of sentences, expanding in the business plan to include sales and marketing strategy. Your management team that goes from names and titles in the summary doc to short bios to full resumes as you get to the due diligence process. Your financial projections should be a basic topline, bottom line to show revenues, expenses, and profits on a one page document. For the business plan it should be an expanded version with the first 12 months in one table and year 2-5 summarized in another table. For due diligence they will want to see the full financial model. Your financing request and use of funds. 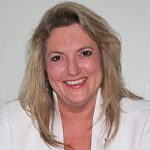 Basic bullet points in an executive summary but as you expand to the due diligence portion, you may need to have a 90 day plan for after receipt of funds and project plans for development timelines and operational milestones. During due diligence and negotiation additional documents will be requested. 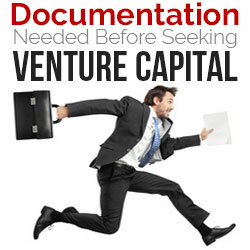 Venture Capital firms typically provide all legal closing documents. Most Venture Capital firms have an online submission process, if only to be more efficient in the management of documents received through a central funnel. However, just because you submit your plan online to a Venture Capital firm does not guarantee anything, including a call back to formally reject you if they aren’t interested. It is strongly recommended that you figure out a way to get a soft introduction to a key contact in the firm. If you have an opportunity to talk with the VC contact ahead of time, either at an event or informal meeting, or are referred by a trusted source, you will have a slight advantage over the multiple submissions they receive a week. The verbal or in person introduction may happen while you are at a pitch event or casually as you deliver your elevator pitch. If you are given the green light for them to receive information, they will most likely simply want the ‘investor profile’ or a 1 page exec summary. If they ask for a business plan or their application process online asks for a business plan, you will need to have a brief plan that is no more than 10 pages with financials. On occasion, Venture Capital firms will only want to see the pitch deck and the exec summary, and will hold off on the business plan until they decide to invite you into meet with them. Keep in mind, whether meeting the investor for the first time or in a one on one introduction, the goal is to get to the next meeting. You want to give them enough information to help them understand the opportunity but have questions that only you can answer. 6 minute pitch deck (approximately 7-8 pages), each page covering the key topics, includes brief management talent, basic financial forecast and images of the product. 1 page executive summary, typically in a two column format. One narrow column of simple details – industry, intro statement, management team, advisors, capital raised, and amount of money seeking and use of funds. One wide column of narrative of business description, identified problem or need, solution offered, key attributes and basic financial forecast. 10 page or less business plan, which expands on the elements of your executive summary, offers product images or screen shots and includes 2 pages of financial information (1 page financial forecast for first year and 1 page for years 2-5 with cash flow). Potential Fail: 25 % of the time, entrepreneurs make the most obvious mistake. They leave off their contact information, specifically how to contact the founder by phone and email. Company name and website should be at the bottom of every page of every document. The first & last page of the pitch deck and the business plan should contain contact information. Congratulations, you have been invited in. You will likely meet with junior staffers and one senior or managing partner. Come prepared. They may have read everything and want to just ask you questions so you in effect are delivering your pitch or your plan via a Q&A discovery process. This happens because there is an interest and they want to get to the baseline to see how you answer the questions and know your business and market place. Otherwise, you will likely deliver a 10 min pitch followed by about 20 min of Q&A, longer if they become very interested or they may invite you back for a second meeting to have you meet with other Senior management. Pitch deck – basic with additional charts for competition, marketplace, marketing strategy. 10 page business plan – pretty much what you may have submitted online, or if you didn’t go through that process it will be what you leave behind. Back up information: patent filings, team bios, full financials. You should have this in your brief case or portfolio to be used only if they ask or they seem to be wanting to dig deeper into specific information. If you get to the due diligence stage, congratulations. You are almost done, but no guarantees right up until the deal is signed and the money has been wired to escrow. This becomes one of the most critical parts of the process. Up until this point it is kind of like a shopping for fruit. The VC knows he wants an apple, not sure what kind of apple, but decides on the shiny red & yellow one. Once he bites into it though, he will know if it is juicy, sweet and as good as he hoped, or a bland tasteless apple after all that won’t live up to its potential, or the worse, it has a worm inside. These documents help the VC determine if things are as you say, with your product function, IP, customers, and personally how you will run an organization, with personal leadership and focus. NDA – Investors will rarely sign an NDA until they are pretty certain they want to invest and just need to do a deeper dive into the company. They will by now pretty much know your business so to deep deeper, they will expect you will want to protect your intellectual property that hasn’t been patented and your strategies and knowledge of any strategic relationships. Prototype or customer validation surveys, feedback if the product is in the market. If in revenue, then the basic 90 day look back on the financial performance. Cap table, financial liability (loans or encumbrances), so that they may understand the terms in which others invested and what outstanding liabilities the company may be subject to that could impact cash flow and revenue redemptions. Subscription agreements and stock purchase agreements used with current investors. All incorporation documents and bylaws will be requested. Any agreements with vendors, contractors, employee agreements and buy-sell agreements between founders will be requested. Typically the venture capital firm will provide the documents needed to establish their terms and all their rights. They may include any or all of these documents: term sheet, voting agreement, stock purchase agreement, right of first refusal and co-sale agreement, management rights letter, Investor rights letter, indemnification terms and any required amendment to the bylaws.